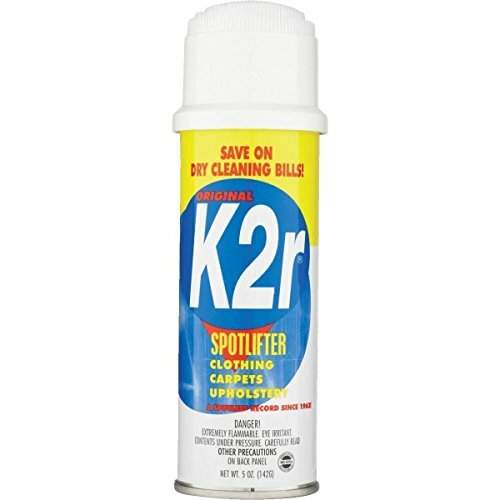 Quantity of (24) 5 ounce aerosol cans: K2r SpotLifter Spray, K2R is a highly effective spray for removing oil and grease from dry clean only fabrics (including polyester, acrylic, nylon, wool blends-regular and knits), washable fabrics, carpets and household and office upholstery (including sofas, recliners, chairs, etc). If you have any questions about this product by K2R, contact us by completing and submitting the form below. If you are looking for a specif part number, please include it with your message.